On last night's BBC Stargazing LIVE Mark Thompson showed us how to find a few galaxies around The Plough in Ursa Major. 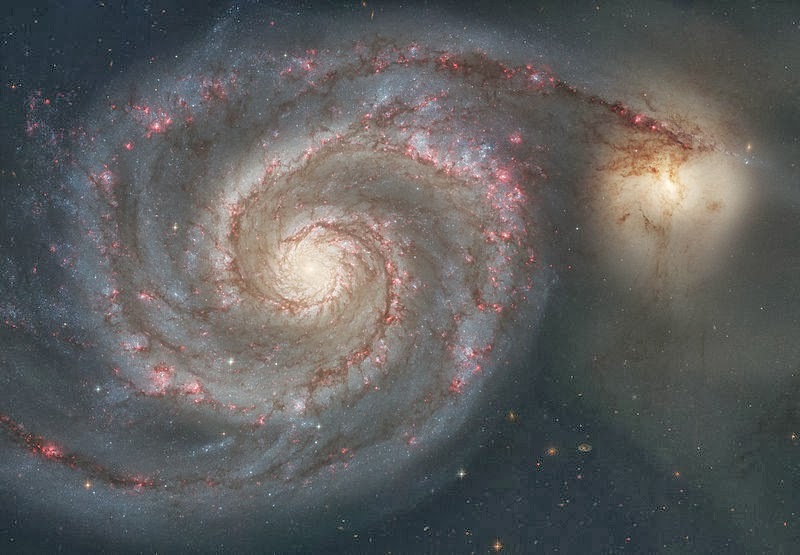 M51 Whirlpool Galaxy as you won't see it through a small telescope! While these are *relatively* easy galaxies to find but still can be frustrating to track down in a small telescope. If you want some help finding these and other 'deep sky' objects, including the Andromeda Galaxy 'only' 2.5 million light years away, come along to one of our Stargazing in Cockermouth events. We are in Memorial Gardens, Cockermouth with our telescopes from 7pm on Friday 10th, and 6pm on Saturday 11th January. Don't forget you can help look for hidden galaxies at spacewarps.org.